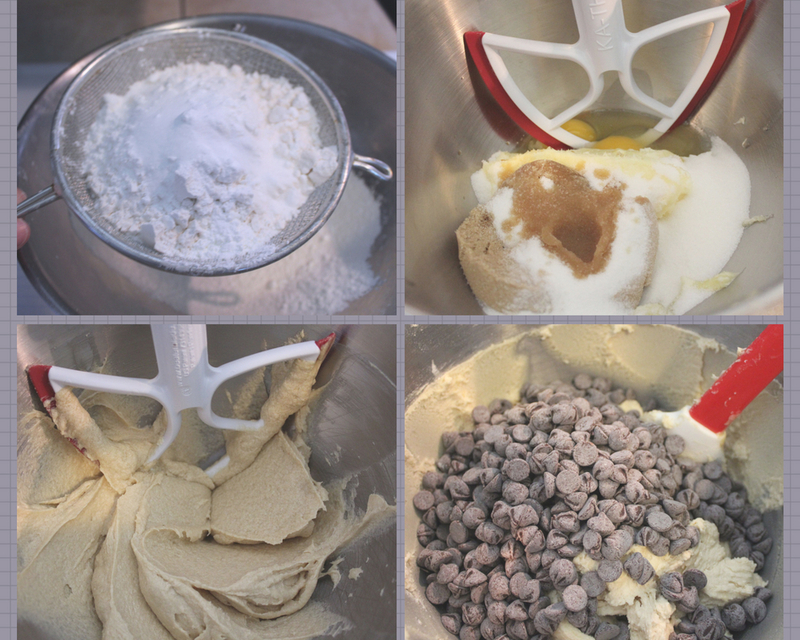 These cookies are easy to make but let me share a few tricks that I always do to have perfect cookies. 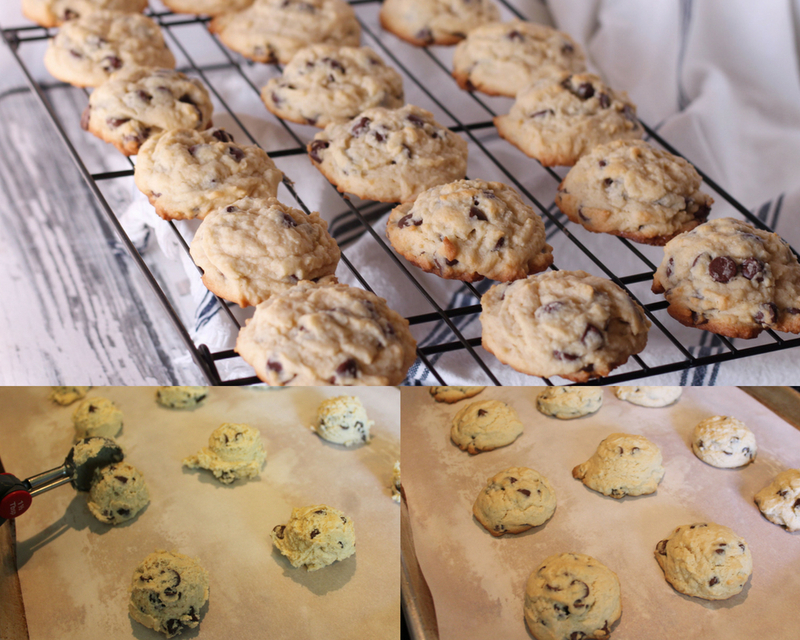 I use parchment paper on every cookie I prepare, it makes cookies bake more evenly and they don’t burn on the bottom. 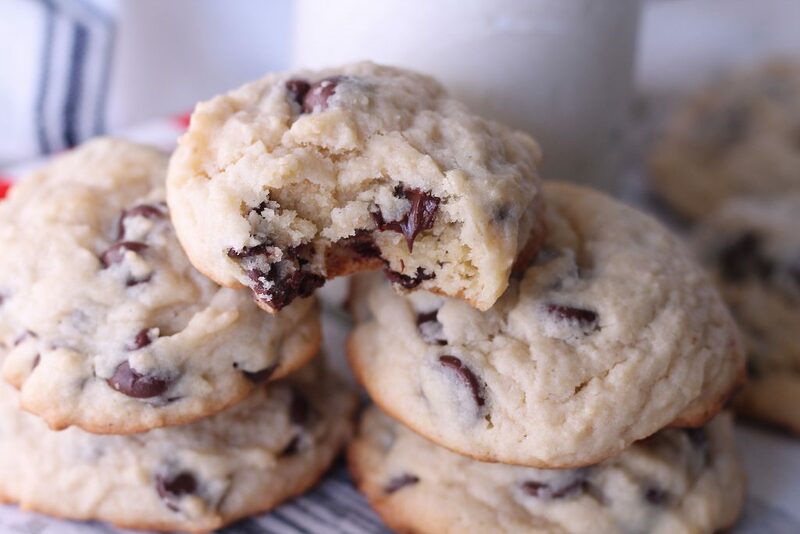 Another trick is using a cookie scoop, they look like a small ice cream scoop and it will make your cookies all a uniform size and look like a pro made them. They come in different sizes and on this cookie I used a 1 1/2 tablespoon size and this is my favorite scoop. 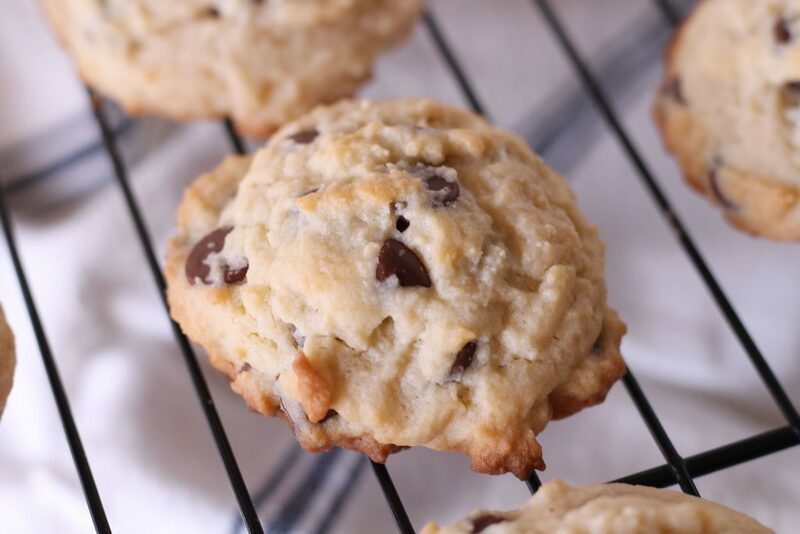 With this recipe you want to start by lining your cookie sheet with parchment paper and preheat the oven to 350. Next sift the flour, cornstarch, baking powder, baking soda and salt into a large bowl and set aside. In a separate bowl or stand up mixer cream together the room temperature butter, eggs and both sugars. Beat until smooth and fluffy. Add the flour mixture to the butter mixture a little at a time until it is completely incorporated. 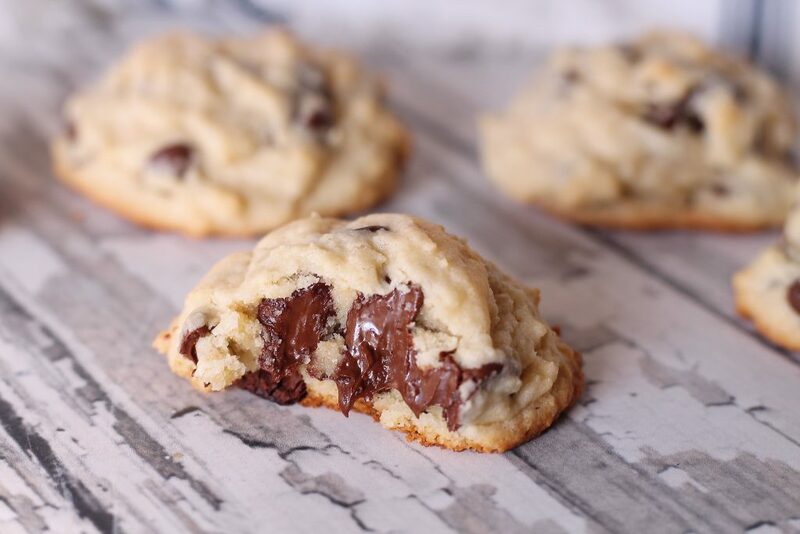 Last is the star of the show, fold in the chocolate chips. Using a cookie scoop dispense the cookie dough on the parchment lined cookie sheet about 2 inches apart. Bake in a preheated oven for 9-11 minutes depending on your oven. The cookie should be slightly brown around the edges,and cool on a wire rack.